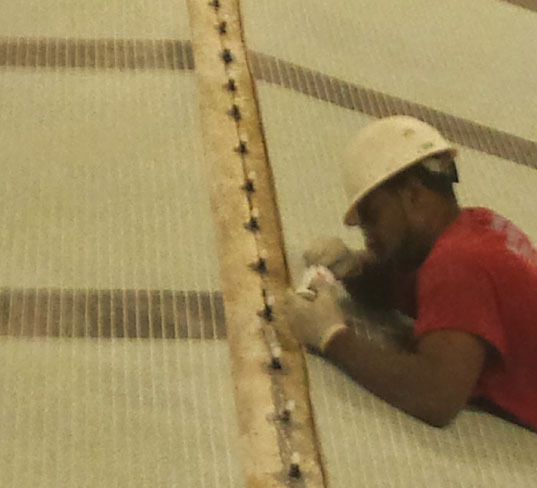 Pool Work – Fixing the Leak! 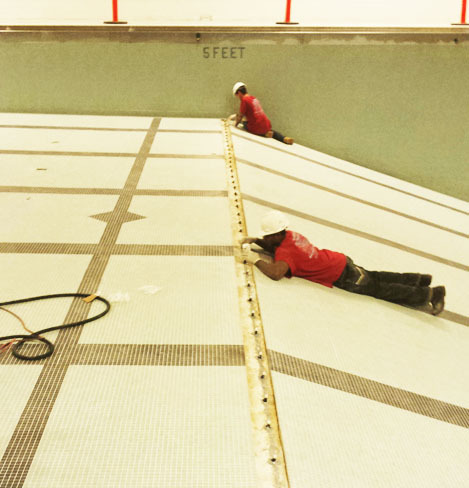 These photos show the work to repair the transition ridge…the spot where the shallow part of the pool becomes deep end. This is where the actual leak occurred. 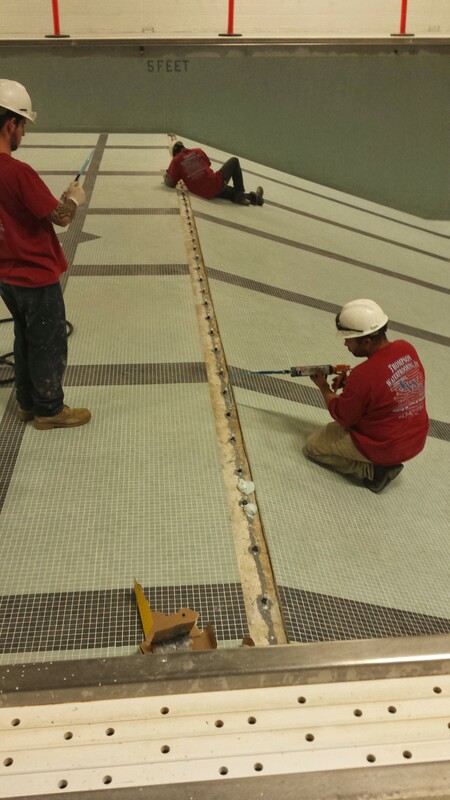 In these photos, they are injecting expansion filler to seal gaps where the leak occurred.